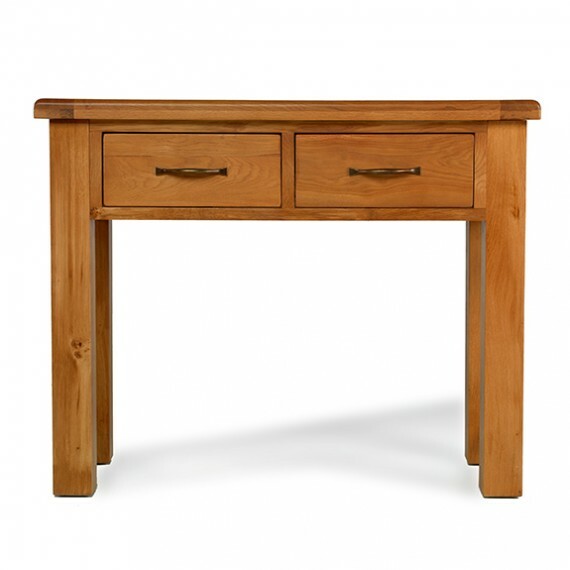 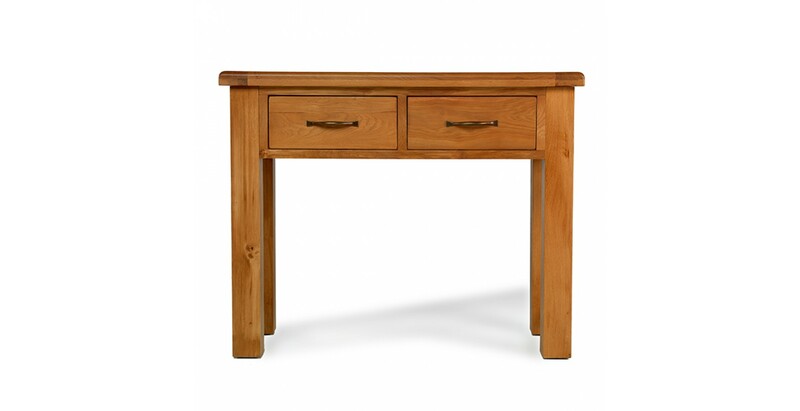 First impressions count, so when you have visitors to your home and the first thing they see is this elegant console table, we're sure they'll have nothing but admiration for your choice. 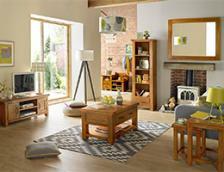 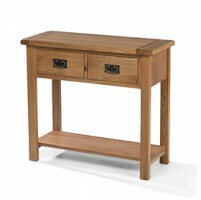 Offering unfussy, clean-lined elegance, it will suit a wide range of classic or contemporary settings. 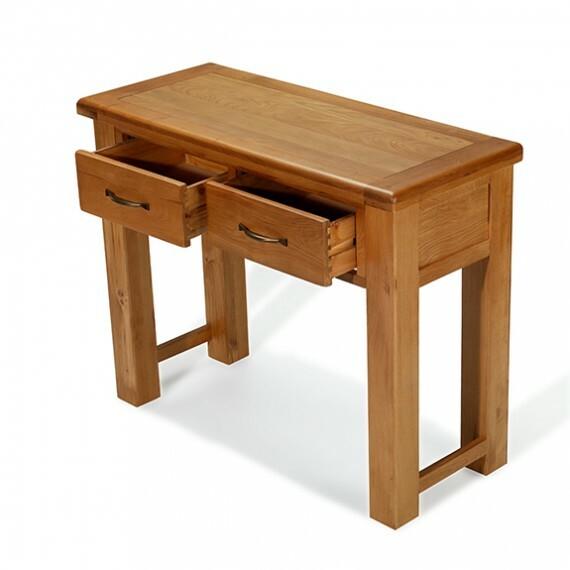 Crafted from oak to last a lifetime, it has a lovely chunky top with softened corners, perfect for displaying some of your treasured objects. 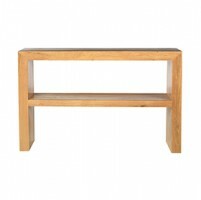 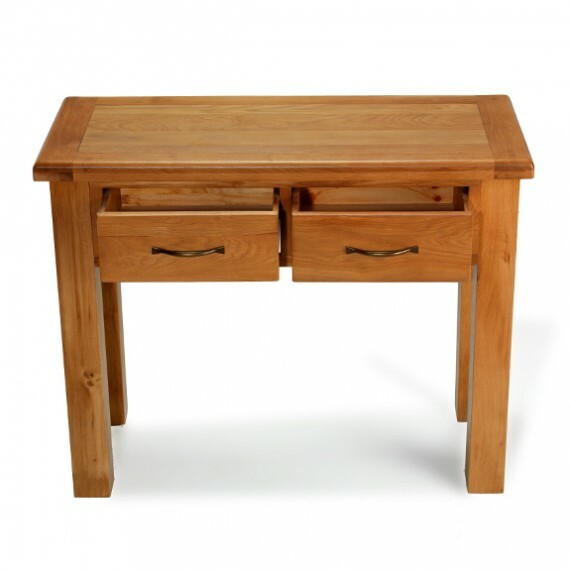 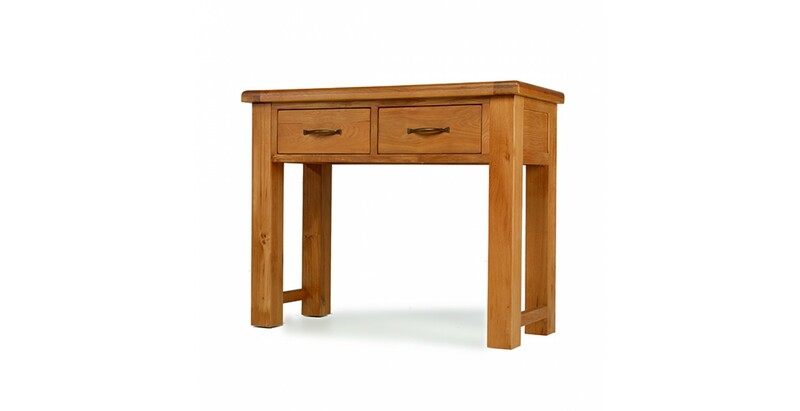 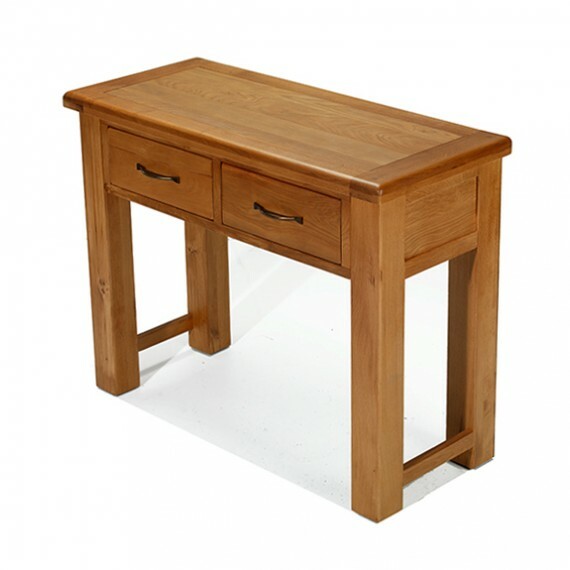 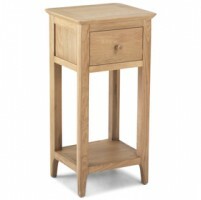 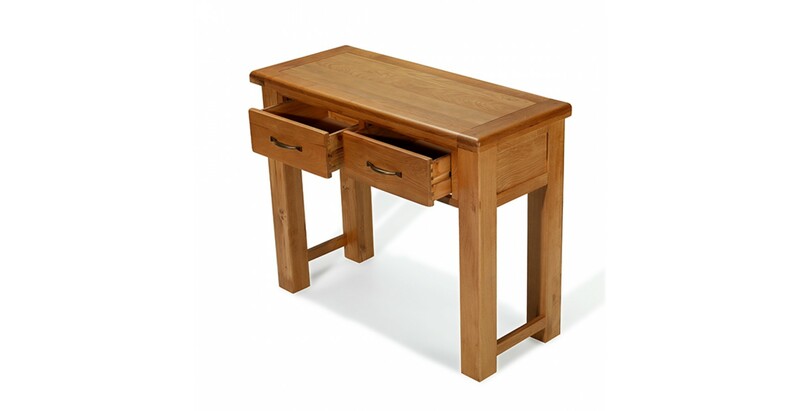 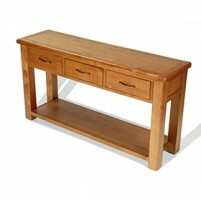 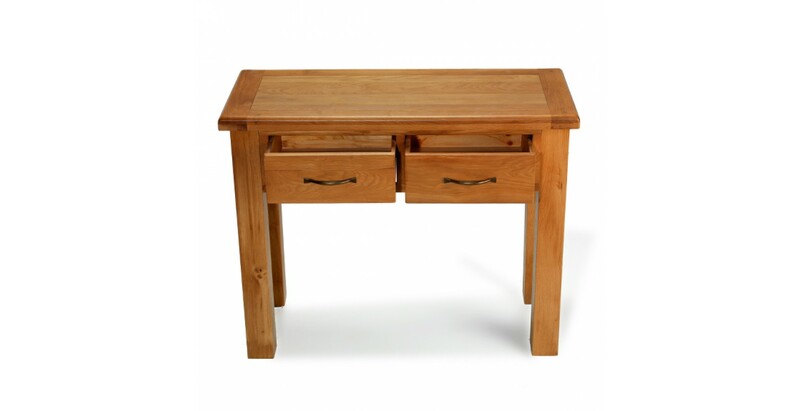 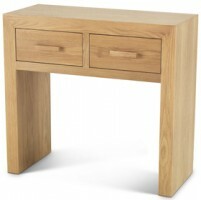 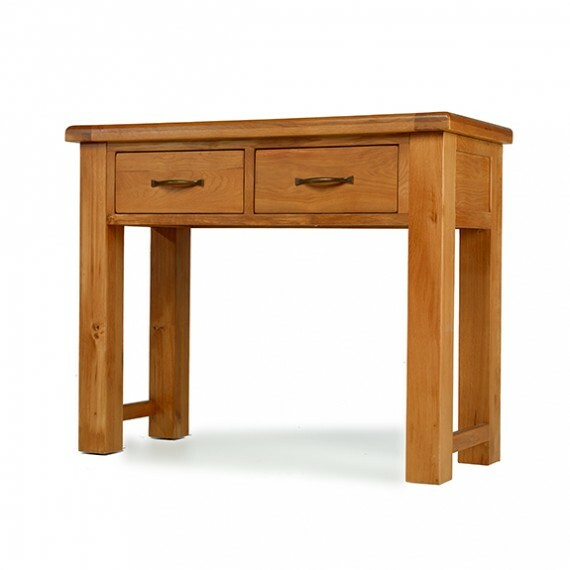 Standing firm on sturdy legs, it also has a brace of useful drawers with brass-effect handles to help you stay organised. 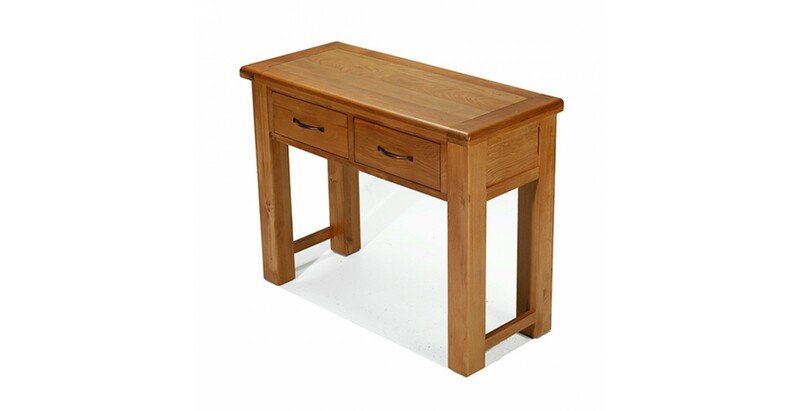 A wax lacquer has been applied to bring outs its rich grain and provide some protection against the odd scuff.